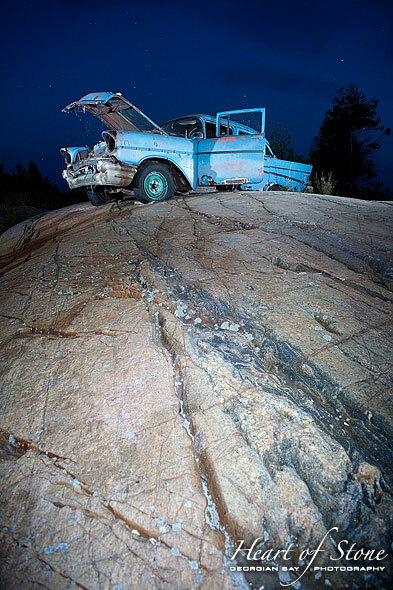 The fabled Bourchier Chevy, painted with light, glows on the bare rock of the Canadian Shield as the stars come out over Georgian Bay. This entry was posted on Tuesday, June 28th, 2011 at 10:59 pm. It is filed under 12x18", 16x24", 5x7", 8x12", Featured, Images, Key River to Point au Baril, Landscapes, Locations, Print Sizes. You can follow any responses to this entry through the RSS 2.0 feed.